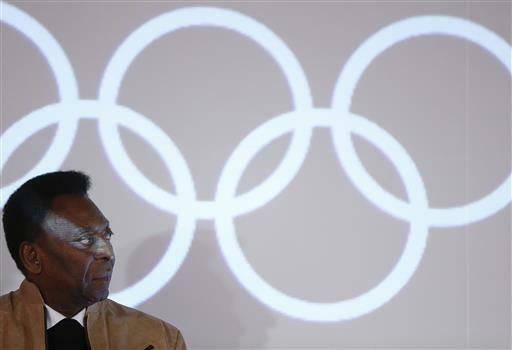 Three-time World Cup champion Pele did not attend the Olympic closing ceremony, but he let his thoughts be known about Brazil's first Olympic gold medal in soccer. Pele took to Twitter during the ceremony to celebrate the achievement. I also waited my entire life to see Brazil win a #Gold Medal in #football and now my dream has come true. He also said the Olympics showed Brazil’s "special way of life." "There were unforgettable moments of skill and sportsmanship – as well as upsets and surprised along the way." The closing ceremony was held at Maracana Stadium - the site of some of Pele's greatest accomplishments. He scored his 1,000th goal at the stadium. Football star Neymar scored his own memorable goal at the Maracana on Saturday - a penalty kick winner that clinched gold for Brazil.